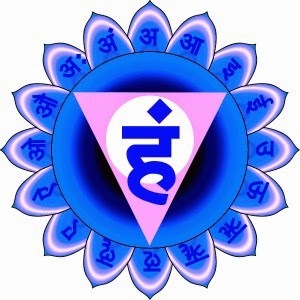 At the center of physical and spiritual purification is the Vishuddi chakra, located in the throat. Mental impurities and toxic substances which enter the body through the food we eat and the air we breathe are detoxified by this chakra. Pranayama has a strong influence on the purifying powers of this chakra from both a physical and mental perspective. When this chakra is out of balance or blocked actions such as saying hurtful things or ‘swallowing’ negative complexes and insults occur. I meditated on this chakra by repeating the mantra ‘Ham’ a total of four rounds. I kept a strong focus on relaxation and an unbiased outlook on my thoughts as they came and went. Several deep breathing exercises, including ujjayi, were implemented while my index and middle fingers of my right hand came to rest right below the throat between the collar bones. Towards the end of my meditation I performed Jalandhara Bandha for a total of 15 minutes. The following postures were performed to activate and harmonize the Vishuddi chakra.